While Caribbean immigrants to the United States settled in Brooklyn, where a vast and vibrant community remains today, many also landed in Harlem. During the turn of the 20th century, the Manhattan neighborhood welcomed thousands of islander immigrants. By 1930, a quarter of Harlem’s population was of West Indian descent. Caribbean immigrants brought many traditions to New York City, including cultural celebrations. One Trinidad native, Jessie Wardell, started the Carnival in Harlem during the 1920s, hosting annual extravagant costume parties inside spaces like the Savoy and Audubon Ballrooms. The celebrations were modeled after Carnival, a worldwide event typically held in the winter, before Ash Wednesday. But unlike the celebrations across the Islands, New Yorkers had to celebrate indoors, as the city’s cold weather prevented them from comfortably partying outside. Confining an extravaganza like Carnival to a room did not bode well for many celebrants. Wardell decided to move the celebration outside and she organized a street festival on Labor Day that ran along Lenox Avenue, starting at 110th Street in Harlem. 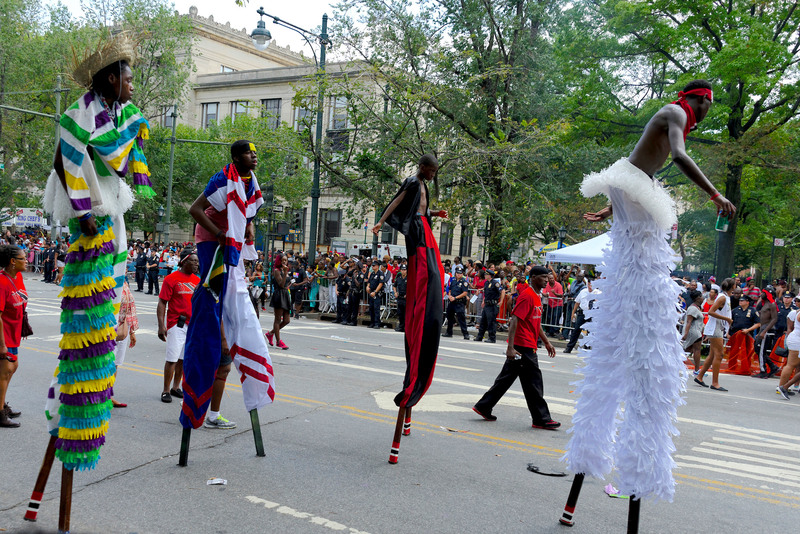 The first known Carnival street parade in NYC occurred on September 1, 1947, and grew larger each subsequent year. After a string of violent incidents, the city revoked the carnival’s permit in 1964. Five years later, Carlos Lezama established a committee, which later became the West Indian-American Day Carnival Association. Lezama and the association were able to gain approval for the parade on Eastern Parkway in Crown Heights, running along the same route used today. The most recent president of WIADCA, William Howard, passed away this month after serving on the committee since 2014. “Bill’s leadership and guidance were indispensable to both of these true Brooklyn institutions, as was his role in strengthening the welfare and unity of the borough’s diverse African-American and Caribbean-American communities,” Brooklyn Borough President Eric Adams said in a statement. 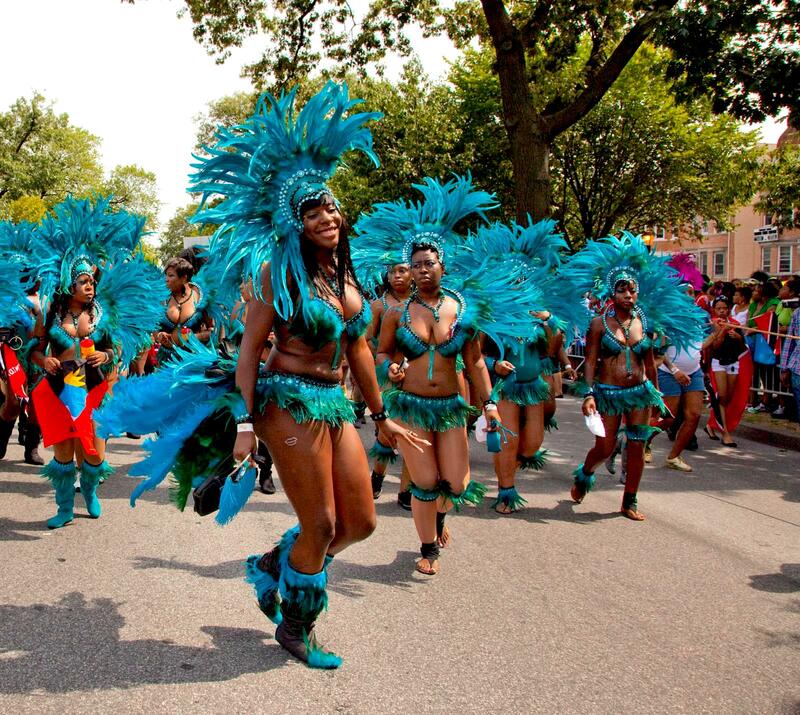 The highlight of the five-day festival, which kicks off the Thursday before Labor Day, is the dazzling parade, that attracts about two million paradegoers to the Crown Heights neighborhood. 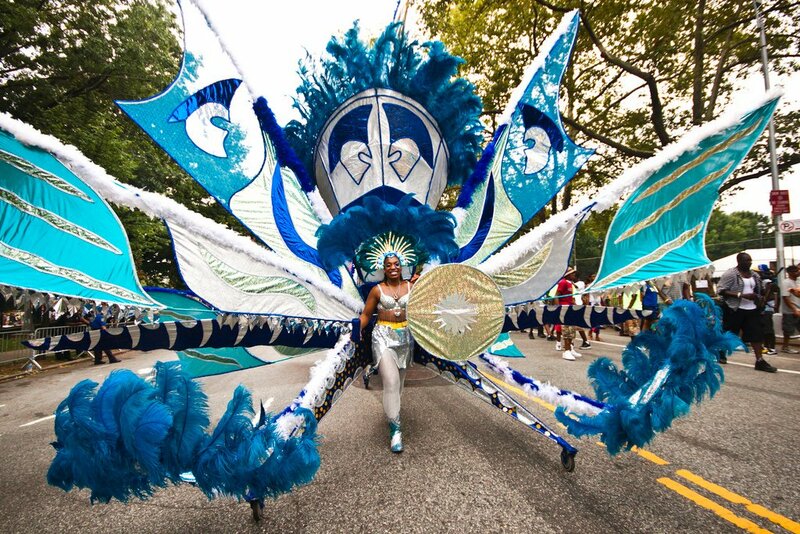 Thousands of participants dance down Eastern Parkway or travel via float wearing unbelievably elaborate costumes, decorated with rhinestones and feathers. The vivid costumes are prepared months in advance. The more spectacular, the more likely to win the cash prize. Another vital piece of the parade is the music, adding to the playful and jubilant atmosphere. Visitors can hear Jamaican-style reggae, calypso from Trinidad and Tobago and soca, a spin-off from Calypso that features funk and soul. The sound of the steel drum, or steel pan, is most closely associated with the festival. When the British government banned drums in Trinidad during the early 20th century, Trinidadians began using whatever other objects they could find to make music. They found that a dented section of an oil drum could produce a note, and as a result, steel drums were produced. At the Carnival, steel bands compete in the “Panorama” competition on the grounds of the Brooklyn Museum. And the food. Oh, the food. Vendors line up on the sidewalks along the parade route hawking classic dishes from the West Indies. From meat patties and rice balls to fruit juices and rum punch, the culinary delights will never disappoint. Many revelers also participate in J’Ouvert, which means daybreak in French, a predawn party that marks the opening of the Carnival. The origins of the celebration date back to slavery times and are based on masquerade balls of French settlers in the eighteenth century. Because slaves in Trinidad were banned from attending, once emancipated, they created their own carnivals, as a way to mock their masters and to celebrate newfound freedom. 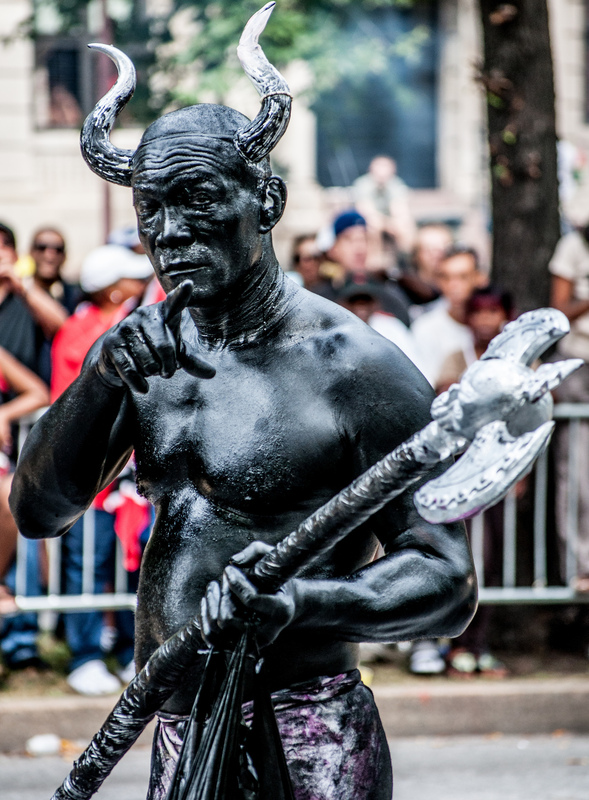 While traditions vary among the Islands, participants, or “Jab Jabs,” of J’Ouvert typically smear paint and powder on their bodies and place horns on their head. Some dress as African warriors and devils and goblins, as they dance and move to the sounds of steel drums. While tradition calls for J’Ouvert to begin just a few hours after midnight on Labor Day, the city in 2017 moved the start time to 6 am after a few violent incidents occurred over the years. And parade goers are now screened for alcohol and weapons by the NYPD upon entering the route. Monday, September 3. Between 11 am and 6 pm. The parade runs down Eastern Parkway in Crown Heights, beginning on Schenectady Avenue and ending at Grand Army Plaza. When and where does J’Ouvert begin? The pre-parade party begins at 6 am to 11 am. It runs on Flatbush Avenue between Grand Army Plaza and Empire Boulevard. The celebration moves right onto Nostrand Avenue and then turns and ends on Midwood. What other events take place before the parade? 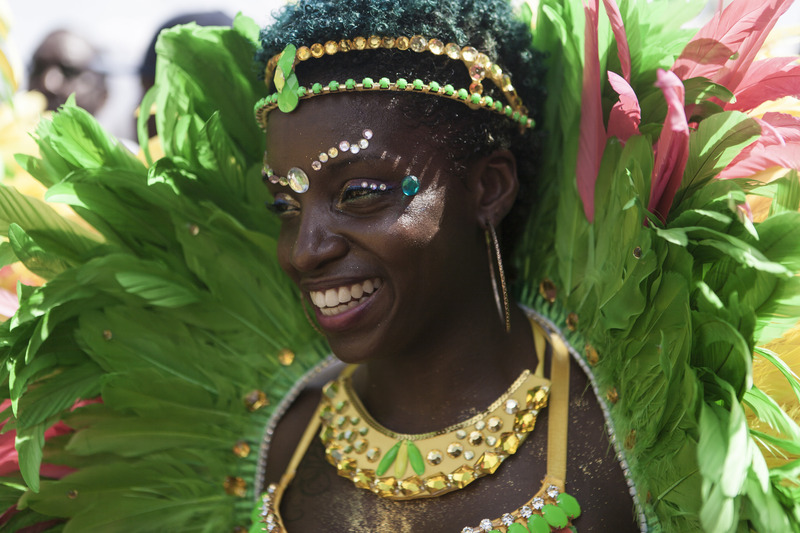 The WIADCA hosts a number of pre-parade events, featuring outdoor jam sessions from Afro-Caribbean bans, a junior carnival with live music and the steel band Panorama contest. Find more information about the parade here. Find information on street closures during J’Ouvert and the parade here.